My heart was broken yesterday when I found out about Jeremy Lin’s season ending injury. It was said Saturday that Lin will have left knee surgery next week and will miss six weeks, likely ending his amazing breakthrough season. Jeremy, the New York Knicks starting point guard since February 6th, had an MRI exam this week that revealed a small, chronic meniscus tear. The silver lining is that a small meniscus tear like this only takes up to 6 weeks to be fully healed and after the surgery, and a little rehab, he will be good to go. The downside is that there is only 26 days left in the regular season and the Knicks are currently involved in a heated race for the playoffs, as well as the top seed in the Atlantic Division. This means that even if Lin has a speedy recovery, the most the Knicks can hope for is a mid-playoff return. What does this mean for the Knicks and the rest of their season. First, let’s start with what Jeremy Lin has done for the once dismal New York Knicks. On February 4th, Lin’s first statistically relevant game, the Knicks were in a downward spiral with a season-worst record 7 games under .500. That’s when former head coach Mike D’Antoni looked as far down to the end of the bench as he could and sparked what would soon become not only the biggest story in the NBA, but arguably the biggest story in the sports world. Everyone loves the Cinderella, underdog story, and Lin provided that for us and more. Lin exploded into a worldwide phenomenon in front of the most fed-up fans in the country, on the largest stage right here in New York City. Knicks fans quickly turned their frowns upside down and found hope in this undrafted, 4 year Harvard point guard whom no one knew existed one week earlier. 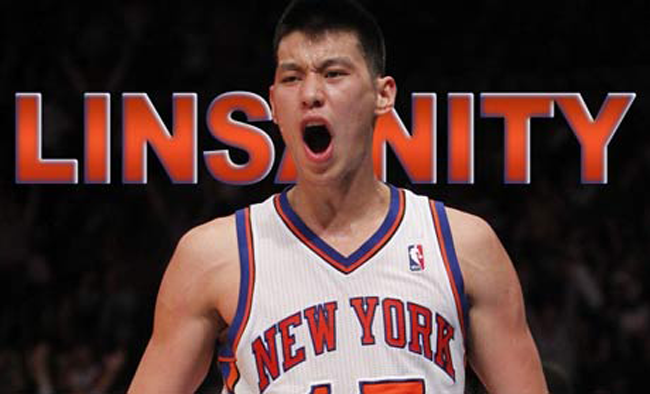 But all that “Linsanity” is now over and his absence will definitely be felt based on numbers alone. The Knicks offense, (based on a per 48 minute basis), averaged more than 5 points and over 2 assists per game with Lin on the court. They also shot a respectable 47% from the field with Lin in, as compared to the Knicks pathetic 41% with him not on the court. Since Lin’s February 4th performance off the bench against the New Jersey Nets, he has averaged an impressive 15 points and almost 7 assists a game, while turning the then 11th seed in the East into a playoff contending caliber team that is now fighting for an Atlantic Division title that has eluded the Knicks since 1994. This injury to Lin could not have come at a worse time. Just days after Amare Stoudemire, the Knicks second leading scorer, had an MRI revealing a bulging disc in his back sidelining him for 2-4 weeks, Lin, the Knicks third leading scorer, found out his season was over. Where do the Knicks go from here? When the season started, Toney Douglas was the Knicks starting point guard and all the hope was for Baron Davis to get healthy and take over that role while Douglas would be a solid backup off the bench. Well, Douglas turned out to be a flop and Davis’ injury kept him in rehab for 3 weeks longer than expected. When Baron finally was able to play it seemed as if he was only about 70% of his former self. For the remainder of the regular season it looks as if the Knicks will be going with a defensive starting lineup to fight their way to the playoffs with hope of having Amare back for the first round. Rookie Iman Shumpert, who has already established himself as one of the best on-the-ball defenders in the league, will have a huge roll of being the Knicks starting shooting guard and will be handed the task of defending the best player on the opponents team on a nightly basis. With all that being said, I feel the Knicks can still be a formidable team for the remainder of the season. Over the past 3 games, with Amare and Lin out, Carmelo Anthony has finally started to look like the player we traded for last season from Denver. If Melo can keep it up and Tyson Chandler can continue his under-recognized defensive dominance then the Knicks should be able to make the playoffs and even possibly win a round or two. How do you feel this injury to Lin will affect the outcome of the Knicks season? This entry was posted on April 1, 2012 by MatthewToddErich. It was filed under All Sports . I think that this injury would have a much bigger impact on the team if D’Antoni was still running things because Lin was able to play great in his system. I’m not saying that Lin didn’t play well for Woodson, because he did play really good and apparently did so with a bum knee. However, Woodson’s system is a lot more isolation, get the ball down into the post, and play intense defense. While Lin is capable of playing that style, I think that the Knicks can better compensate for his loss with Davis, Bibby, Shumpert, etc, then if they were still running and gunning. Look for Knicks to make playoffs, maybe even catch Philly and Boston, win the first round but I don’t see them getting past Chicago or Miami in the 2nd.